The above video is just a small glimpse into Wes's fight. Click here to DONATE NOW towards Wes's Memorial. ​We want to cover Wes's memorial for the Pak family, to include flights (for 5), a rental car, hotels (Miami & Orlando), of course the Eternal Reef package, a day at Disney World to end this emotional trip, and if possible a little bit of spending money to help with the expense of food, etc. In total, we're trying to raise $10,970 to cover Wes's final resting place. There are specific dates that Eternal Reefs conducts their burials, and for Miami it's February 15th - 18th 2019 which means the Pak family needs to fly out (of VA) on February 14th and they'd be returning on the 21st (leaving a couple of days in there to decompress and have some fun). ALL OF THIS SAID, we don't have a lot of time to raise this money and we're truly hoping that with this season of giving, you might consider a donation so that we can make this happen for this very deserving and exhausted family. Also, please feel free to contact us at info@InfiniteLoveForKids.org if you have other ways to help with Wes's memorial (maybe you have a contact in the hotel business, or have a time share you'd like to donate, etc.). Thank you all so much, and please consider sharing this fundraising campaign via your social media outlets as well as sending this link in an e-mail to your own family and friends. 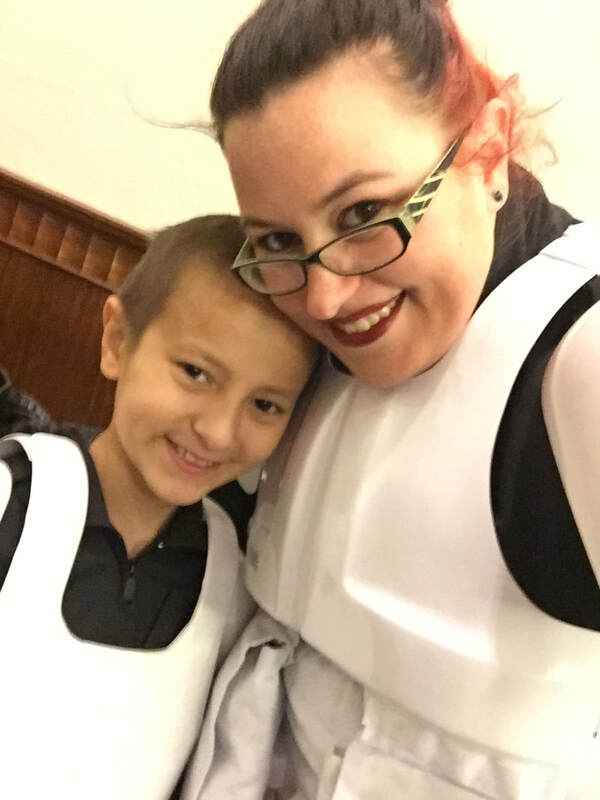 "Wes Chel Pak, known to many as "Jedi Wes", became one with the force on Saturday, November 3, 2018 after a 7-year battle with neuroblastoma, just one month shy of his 13th birthday. Wes was a first born son, big brother, grandson, nephew, cousin, and friend to everyone who knew and loved him. He set an example of hope for many others in the childhood cancer community. Despite the 5 relapses, frequent trips to Memorial Sloan Kettering in NYC, countless surgeries, treatments, and needles, he continued to remain positive, smile, and let us know that there are others that had it harder. He fought valiantly like the warrior that he was and never let the diagnosis bring him down. Even though Wes was just a 7th grader at Yorktown Middle School, Wes was wise beyond his years, spending much of his time educating himself about world history, science, and the military. Anyone who ever had the pleasure to meet him knows that he was filled with knowledge, and never left his presence without learning something new. He was a member of the Junior Monarch and More Club at Seaford Elementary School and received the Student Service Award in 2016 for his contributions to the community. He found a sense of peace listening to the classics such as The Beatles, Queen, David Bowie, Sublime, and Bob Marley. He was a "foodie" and enjoyed trying new things. He had dreams of one day traveling the world to places like England, Germany, France, and Japan. Wes was a "nerd" and proud of it. 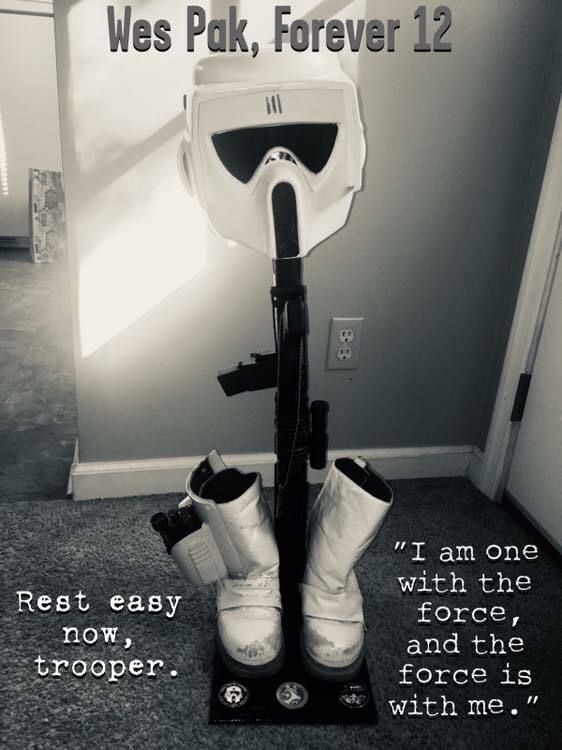 His love for Star Wars, Doctor Who, Supernatural, The Walking Dead, Attack on Titan, and Fallout was clear and often expressed through cosplay. He had the privilege of being the first fan to ever play Fallout 76. Wes was a member of the Galactic Academy, and recently became an honorary member of the 501st Legion, an international Star Wars costuming charity organization, after years of "trooping" as a biker scout for local charitable events and fundraisers. He impacted thousands across York County and around the world with his selfless outlook on life. At just 5 years old Wes wanted to give his toys to the other children fighting cancer at CHKD which started his Wes' Wish Toy Drive. Each year Wes personally helped with the efforts, making sure the financial burdens the holidays often bring were a little less for local childhood cancer families. Last year more than $50,000 in gifts were collected, helping more than 50 Hampton Roads families because of Wes' giving heart.